Last week Microsoft unveiled the new Surface tablet and Surface Book, a high-end hybrid laptop, aimed at being the only devices professionals need at work and home. Microsoft says that both devices have enough battery life to last the working day, are thin and light with high specs and a sleek finish. 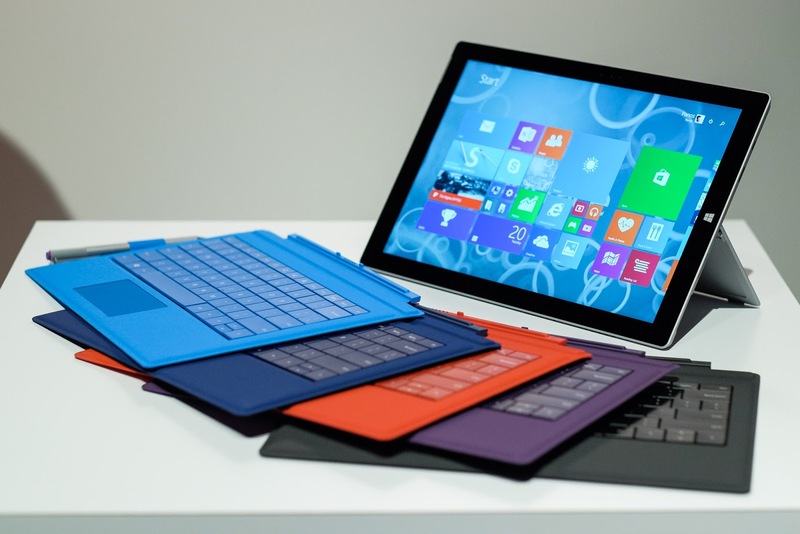 Microsoft also boasts that the new Surface devices are up to 50% faster than the MacBook Air and Pro. We like many of the new improvements including a screen that has very precise detection of touch with pen input. The Surface Book is a powerful machine with an Intel Core i7 processor, Nvidia GeForce graphics card and the screen can be detached so it can used as a tablet or flipped so it sits on top of the keyboard. The Surface Pro 4 will be the first to run Windows 10, which will include Windows Hello and MDM support. According to Principal analyst from Ovum, Richard Edwards, these additions should appeals to enterprises’ need to simplify management and security. With flexi working slowly becoming the norm, Microsoft is hoping that these machines will appeal to professionals who want to use a device in and outside the office. Edwards says Microsoft is looking to "displace the MacBook Air, which it sees as the target device favoured by the young and trendy people who like to be super mobile but still want that laptop experience". Gartner research director Roberta Cozza highlights that capturing this market is essential if the Surface is to gain popularity within business. Enterprises are starting to listen to their staff on what devices to purchase, especially when they’re to be used at home as well and in the office. "They are building a portfolio that many professional users will like," she said. In my humble opinion this is very important news for all Microsoft Laptop owners. Lucky me, cause I don't own such one. I have DELL laptop and very pleasant cause this is very reliable thing right from my motherland, not from some Chinese factory in the middle of nowhere...Even if I accidentally delete my drivers, I can easily got it from this service with the best NVidia driver for windows http://driverscenter.com/manufacturers/nvidia that always work pretty good. You are as a managed IT service provider but best one is way to get drivers for microsoft window. There are very less managed IT services companies that's provide such kind of services. Thank You.